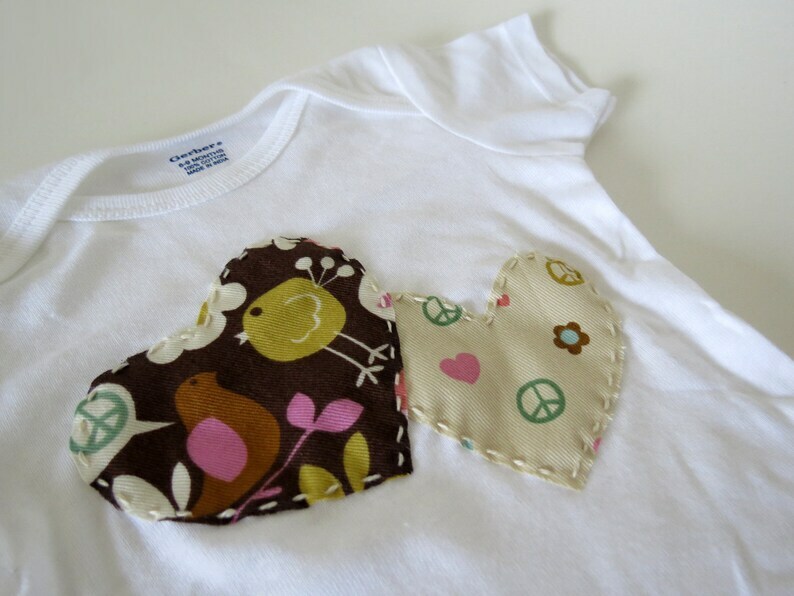 A pair of adorable Tweet Tweet Love & Peace hearts decorate a Gerber 6-9 Months 100% cotton white short sleeve onesie. Hearts are treated to reduce frays and sewn with large decorative hand stitches of cream thread. One heart features two birds on tree branches on a brown background and the other is a creamy tan with iconic hearts, peace signs and flowers.